Found a lower price? Call Us. 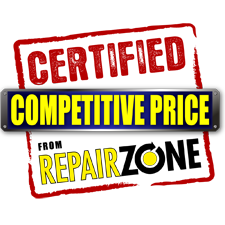 If you're looking to buy or repair your servo equipment, and have found a lower price somewhere else, please call us. We want you to get the best product at the most competitive price, every time. That's why our team scours the web regularly to make sure our inventory and services are priced right. But sometimes, our competitors list lower. In many cases, we can match or beat it with our same great service. In other cases, we can't. When that happens, there's usually a reason. If we can't beat it, we'll help you understand the differences in the product or service. Warranty? Condition? Testing? Specialty? Talk to our techs, and they can help you make sense of your options. We'll be honest about when we can help, and when we can't. The bottom line is we want you to be happy and get the servo equipment you need -- whether it is from us or from somewhere else. No downtime! Please let us do our best to make that happen. Call Repair Zone today to find out how 989-922-0043.